We’re flying in a Beechcraft BE-36 aircraft approximately 750 feet above the Pacific Ocean as our spotter in the front seat makes the call. The person she’s relaying this information to is sitting directly behind her, operating a Geographic Information Systems (GIS) device that can log the types of vessels encountered and their activities, as well as their geographic coordinates. Photographs of the different vessels are also taken to help verify vessel types and activities prior to being uploaded to a database. 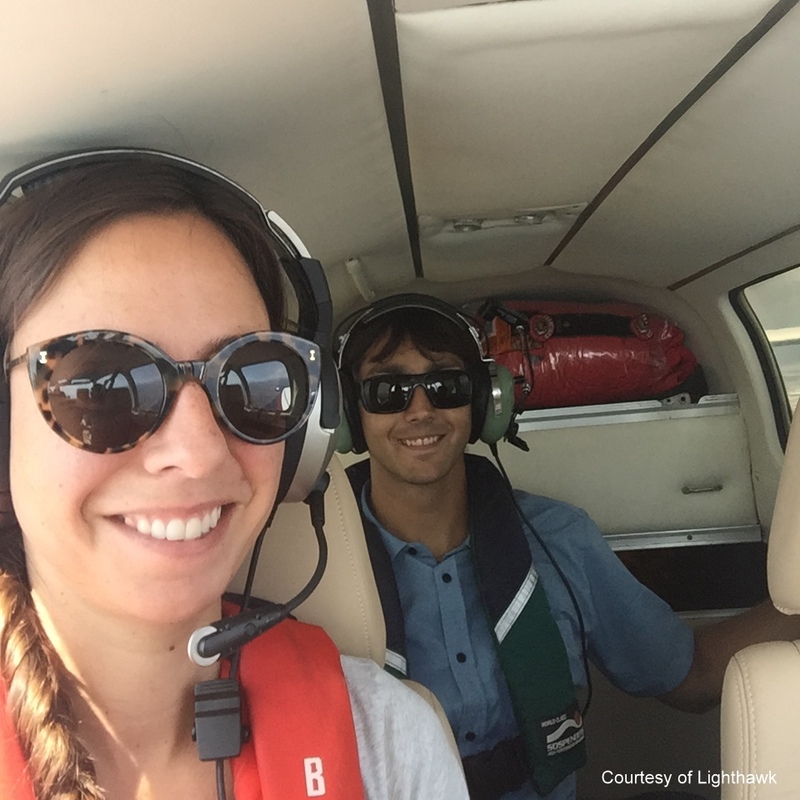 This aerial survey, and others like it, are being conducted by The Bay Foundation with support from Lighthawk. The aerial surveys compliment land-based surveys that are being carried out as part of a data collection program called MPA Watch. The MPA Watch program, which is being carried out statewide by 10 different organizations, including Wildcoast, monitors human use of the California coastline, especially in marine protected areas and surrounding locations. While MPA Watch data is most often collected through shore-based surveys conducted by trained volunteers, boat-based surveys and aerial surveys are also used to collect data on off-shore activities. 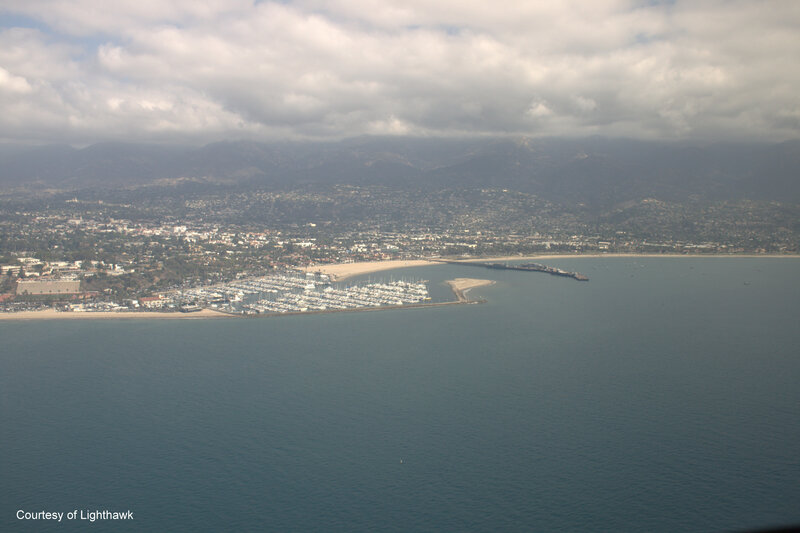 The purpose of our flight today is to observe and log boating activity from Los Angeles to Point Conception. During our approximately two hour flight we encountered over forty vessels within the program’s three mile offshore limit, with the majority of vessel activity taking place between Los Angeles and Santa Barbara. Each vessel was logged based on its type (recreational or commercial), model (sportfisher, dive, kayak, powerboat, etc), and its activity (actively fishing, underway, or anchored/not fishing). Geographic locations were automatically logged when the GPS Technician hit ‘submit’, which is done as the plane flies directly over the vessel to ensure accuracy. “There’s one at 11 o’clock. Do you think it’s within the 3 mile limit?” asks the spotter through her headset. “Let’s head over and take a look” comes the pilot’s response. As we head northwest to check on the vessel in question, the pilot check’s his gauges and announces that we’re 2.75 miles offshore. In-range with a little to spare! Almost immediately the spotter starts to call out the necessary information and by the time we fly over the vessel the data is ready to be logged. In the few instances that our spotter wasn’t able to identify the vessel’s type and activity quickly enough the pilot put the small plane into a steep turn and brought us around for a second pass. 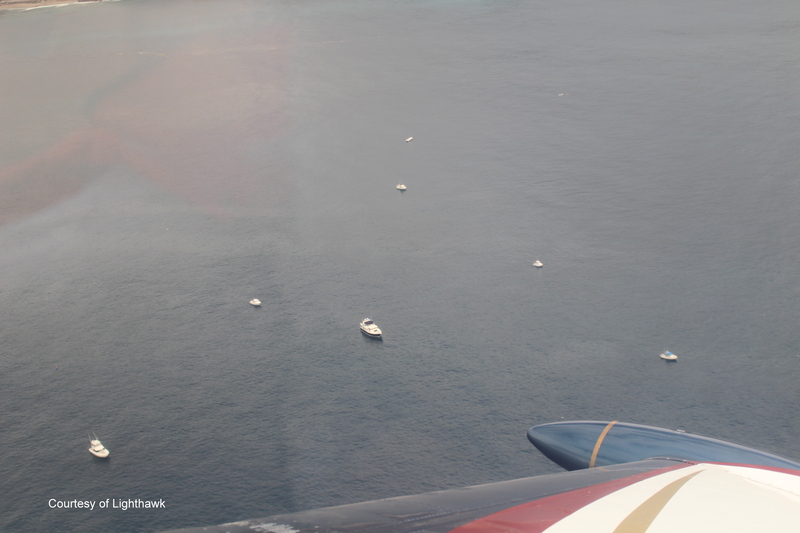 This tactic was also used when we came across large numbers of vessels clustered together, as we did when flying just south of Santa Barbara. On this occasion two full revolutions around the group were required to identify the 20 or so vessels taking advantage of what must have been a lively fish bite. The data from this survey is ultimately entered into a database managed by The Bay Foundation. Currently conducting two surveys of both the north (LA to Point Conception) and south (LA to the US/Mexico border) transects each quarter, the data gathered during these surveys paints a picture of human use in Southern California’s offshore region. Datapoints are plotted on a map that includes the boundaries of marine protected areas, providing researchers and program managers with data on where boaters are operating, as well as what impact marine protected areas are having on boater activity. There are many uses for this data including supplementing ecological surveys, informing enforcement agencies about potential violation hot-spots and providing ocean managers with information needed to update ocean policy. With the plane back on the ground my colleagues and I reflect on our outing: Approximately 40 vessels logged is an average day for the northern transect, although surveys of the southern transect can often yield twice as many data points. In addition to the survey data collected, we also spotted several oil slicks north of Santa Barbara that appeared larger than the normally occurring area slicks. These were dutifully called in to a local partnering organization to be followed up on. 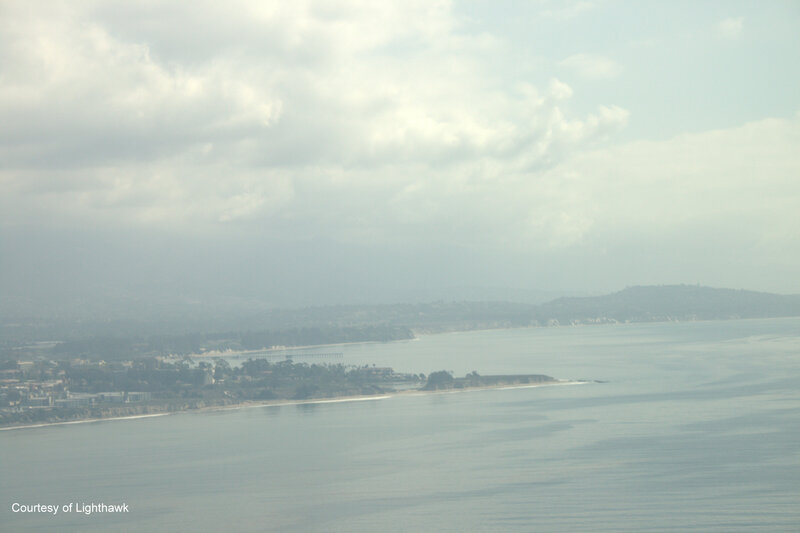 Oh, and throughout the entire flight we were also treated to highlight-reel views of the Southern California coastline. For more information regarding the MPA Watch program, please contact Tarrant Seautelle at tarrant@wildcoast.net. « ¿SABÍAS QUE EN OAXACA EXISTE EL CONSEJO ESTATAL DE HUMEDALES DE LA COSTA DE OAXACA (CEHCO)?